Figure 1. Andasol twin (cold and hot) molten salt storage tanks. Trends in CSP market segmentation (source SVC). Heat storage tanks for PS10 power tower near Seville, Spain. Photovoltaics (PV) is the dominant solar technology with more than 12 GW installed in 2010 alone, but PV (not to mention wind power) has inherent limitations of intermittency. This gives CSP a distinct advantage, and current advances in heat transfer and storage could increase the implementation of CSP as a significant renewable resource. For concentrating solar power (CSP) there are four different technology approaches – parabolic trough, power tower, linear reflector, and sterling dish (see Click through box for more information). Currently, more than 90% of installations use parabolic troughs to generate electricity. The main advantage of CSP against other sources of renewable energy such as PV or wind is the capability to provide dispatchable power – by storing solar energy in thermal reservoirs and releasing it as and when it's needed i.e. during periods of peak power demand, during cloudy weather or even at night. So storage can eliminate intermittency as well as extend energy production past sun-set. Another advantage to CSP is that it can be used as part of a hybrid energy source, in that a regular gas fired plant can be used to heat the HTF/TES materials (see below) in the event of solar down time. This configuration is much like the early hybrid cars. Despite these advantages however, CSP-derived electricity is expensive in comparison with other technologies. The key to CSP's commercial success remains in developing an economical and effective energy storage capability. There are two intertwined technology paths for CSP which both need to be advanced – the solar collection technology and the heat conduction technology. In this article we will address the latter. Except for sterling dish technology, CSP needs a Heat Transfer Fluid (HTF), and in some cases a Thermal Energy Storage (TES) medium. The HTF and TES materials are the interface between the solar energy input and the power block. From a commercial perspective HTF and TES are at very early development stages. Although they can function adequately, the current HTFs suffer from significant shortcomings. As far as the TES elements, this is even more challenging, with only marginal industrial activities underway. But there is now a strong push to extend the capabilities of HTF/TES, and the results could help enable the acceleration of CSP beyond the 500 MW of current installations. Activity for both remains very much an R&D effort, especially for TES. But there is now an increased emphasis to address both the limitations of current HTF/TES, as well as to develop advanced elements. Groundbreaking research is looking at HTF and TES – for example how nanostructures can be used to tailor the fluids' thermo-physical properties? New funding is also being directed towards a broad range of near-term improvements (as well as long-range R&D). The key considerations for improvement of HTF/TES materials include the ability to vary the operational temperatures; the range of useful temperatures; the heat capacitance; and – very importantly – the cost. The latter is essential in the world of solar energy. The rapid implementation of PV in the last year has been accelerated by a drop in PV prices. It is essential for CSP to achieve some of the same cost reductions. Up to now, CSP plants have used synthetic oils as heat transfer fluids and molten salts for thermal energy storage (molten salt can also be an HTF). 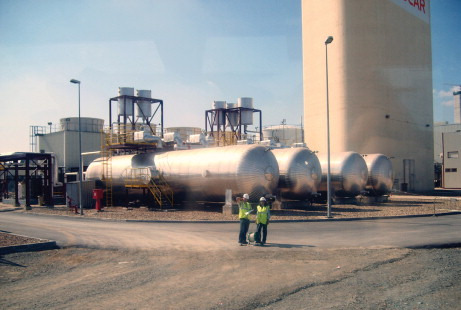 Figure 1 shows a typical example of molten salt storage tanks. However there are significant limitations which impact the overall cost of CSP electricity. The most proven and commonly used CSP technology is parabolic trough technology, which absorbs solar radiation and reaches temperatures of around 700°F (371°C). In the heat exchanger, water is preheated, evaporated, and superheated into steam, which runs a steam turbine. The water is cooled, condensed, and reused in the heat exchangers. Most of these plants have little or no storage and use oils which are flammable. Operating at higher temperatures enables higher power cycle efficiencies to be achieved. Recent research indicates that synthetic control of material composition, architecture and mixture down to a nano-scale dimension could lead to tranformational breakthroughs in energy storage... in areas of capacit, heat density, energy exchange rates, cycling times, and cost. The organic oil-based HTFs currently tend to break down at high temperatures (around 400°C), which prevents solar thermal plants from running at maximum efficiency. Inorganic materials such as salts, on the other hand, maintain stability at high temperatures, but then solidify easily at temperatures as high as 230°C – a problem because when the sun drops in the desert, so does the temperature. As a specific comparison, solar thermal electricity can cost more than twice as much per kWh as gas and coal electricity. Currently, organic, oil-based fluid in the pipes has a maximum temperature threshold of 400°C, allowing for the production of electricity at approximately US$0.15/kWh. But activity in this area is looking to develop advanced HTFs that can operate at temperatures ranging from 80°C up to 500°C. These heat transfer fluids, when used with other advanced technologies, could significantly decrease solar electricity cost to as little as US$0.05-0.07/kWh. Lower costs would make solar thermal electricity competitive with gas and coal. HTF/TES is also complicated, and doesn't allow for a single all-encompassing solution. There is no single HTF/TES material solution which will meet the unique needs for the different types of CSP, and which can provide the necessary performance in a cost effective manner. In addition, the market is still developing for all four CSP types so it is not possible to limit research to a single technology since each type may develop a significant market presence. As a result, a multi-path approach is required to examine solutions for all versions, increasing the R&D and commercialisation challenges. Attempt to use the same material for both functions. The use of a fluid that can both transfer and store the thermal energy will simplify current plant designs in that no heat exchangers will be needed that add to the technical risks. A major requirement for such a new fluid – beside extreme thermal stability – is the need for a very low vapour pressure, to negate the need for pressure-rated tanks. Also, a fluid would need a freezing point at or below 0°C to avoid the risk of freezing in the collector field during cold periods. Table 1 shows a representative layout of the current development activities. Note that there are fewer entries for TES, and this is an area where more needs to be done. It is recognised that storage is important, and according to Dr. Craig Turchi of the US National Renewable Energy Laboratory (NREL), as renewable energy begins to contribute about 20% of a utility's energy portfolio, there will be a requirement for dispatchability – and consequently storage. Molten salt is a common element in current applications, and indeed has advantages: “Molten salt is a heat storage medium that retains thermal energy very effectively over time and matches well with the most efficient steam turbines,” explains Terry Murphy, CEO of SolarReserve. “It remains in a liquid state throughout the plant's operating regime, which will improve long-term reliability and reduce O&M costs. And molten salt is a non-toxic, readily-available material”. Molten salt HTF is amenable to use in large TES tanks because it is inexpensive relative to organic fluids (about a tenth of the cost). So, unlike oils and steam, molten salt can act as both HTF and TES, which improves the overall plant efficiency and lowers the cost. The downside is a high solidification temperature. Consequently, for advanced molten salt development there is extensive R&D effort underway aiming to drive down the solidification temperature and extend the thermal range. With combined grants totalling over US$40 million from the US Department of Energy (DoE), more than a dozen organisations and academic institutions have been called upon to develop improved methods for thermal energy storage. They will spend the next three years aiming to develop new, breakthrough materials that will help solar thermal power generation compete with gas and coal-powered electricity. DoE's goal is to make CSP cost-competitive by 2015, and provide a sizeable amount of clean energy to the grid by 2020. Similar efforts are underway in other locations such as Germany's DLR (Deutsches Zentrum fur Luft- und Raumfahrt), and the Solar Institute in Julich, where researchers are also looking at developing materials solutions. A medium term project is underway at Texas A&M University, exploring modifications to molten salt. The objective is to create a composite TES based on using carbon nano-tubes embedded into a molten salt base bacterial to modify the melting point and increase the heat capacity. The project to date highlights cost reduction as an important area. The researchers are pursuing parallel paths: One path is to develop low melting point composites based on nitrate eutectics, which could be both a THF and TES. The other is to develop high melting point composites based on a carbonate eutectic for TES, where the melting point is near the upper end of the power system interface temperature for extended power production time. The initial results on developing the nano-particles and mixtures have highlighted some of the challenges in preventing agglomeration and settling. The fabrication techniques impact the thermo physical properties, and a key element is to keep the particles in suspension. Researchers are exploring the optimum concentration of nano-particles needed to increase Cp (heat capacitance), and are still evaluating the effect of particle size. The very latest results indicate that the addition of nano-particles to the base salt results in an increase of Cp of 10%-75%, and they see a potential cost reduction of 40%. Along similar lines is work being done by Halotechnics/Symyx Technologies to develop a more ‘standard’ eutectic (a mixture of two or more constituents which solidify simultaneously out of the liquid at a minimum freezing point) based on exploring all possible combinations of macro materials. At Halotechnics/Symyx, the researchers are using techniques borrowed from the pharmaceutical industry for drug discovery to identify high-promise candidates. They have already begun the process of screening more than 5000 samples. The next step will be to optimise the resultant formulations, and in the final phase (2011) they will be tested at the Lawrence Livermore National Laboratory in Livermore, CA, USA. A more long-term research programme is underway at the National Renewable Energy Laboratory (NREL), where researchers are looking to develop a new class of HTF and TES materials and increase the heat capacities by a factor of 5. The focus is on basic research to show proof of concept, and the work will not necessarily look at the cost impact. The researchers at NREL are developing nano-scale ‘encapsulated’ structures of 50 to 500 atoms that can then be suspended in fluids. They are working on both the synthesising of particles, as well as the modelling that will help identify the best candidates. These nano-clusters have embedded metals with a ceramic-like outer coating. The research direction is to have clusters which can provide tuneable parameters to improve the HTF and TES functionality and at the same time withstand the repeated cycling between states. The overall concept is to use a family of nano-particles with different transition points to smooth out the phase transitions and achieve a simple linear dependence between energy and temperature. The researchers have made preliminary structures as well as undertaken modelling. As Dr. Greg Glatzmaier the Principal Investigator reports, the team has had the most success with noble metals, but those are also the most expensive materials. They are looking to other less expensive metals too. The most exciting recent research indicates that synthetic control of material composition, architecture and mixture down to a nano-scale dimension could lead to transformational breakthroughs in energy storage, and may provide improvements in the key parameters such as capacity, heat density, energy exchange rates, cycling times, as well as cost. The use of modelling systems of extensive complexity will need close connection between theory and experimental work to identify the best candidates for study. The novel approaches are necessary to find multifunctional materials that are tuneable and cost effective. The cost is critical and must be part of the overall requirements. In a completely different vein, Infinia is working on Sterling dish configurations. Dishes have a small generator at the focal point. They do not require a heat transfer fluid or cooling water, and have the best solar-electric conversion rate among CSP systems. The dish receivers reach up to 1200°F (649°C). Up to now, the Sterling engine is the only CSP approach not to have storage. Infinia plans to address this by integrating a TES module unit at the entrance of the engine. Infinia is looking at a rapid introduction to market for a TES approach for Sterling engines. The company has designed and integrated TES using a thermal salt PCM (phase change material). They are targeting five hours of TES. Some of the key points of study were to evaluate the aspects of weight, configurations, technical challenges, etc. to determine the trade-offs between cost and efficiency – against the heat storage duration. Currently the TES is sized to generate 3 kWh of net electric power. The heat is delivered to and extracted from the salt via a system of high-temperature heat pipes embedded in the module. The TES module acts as a ‘buffer’ where extra insolation energy is absorbed by the salt, and then provided during shadowing, or after sunset. The design allows for simultaneous operation of the engine while charging the TES. The TES system is passive, with no pumps or valves, and direct coupling to the engine increases efficiency. The next steps are to finish evaluating the prototype this year, and to begin field testing in 2011, followed by further LCOE improvement validation. The initial results look promising. It is also interesting to note that there is no HTF. There is a strong need to develop new generations of HTF and TES fluids, primarily to lower the cost of energy produced by CSP. Storage in particular is strategic for CSP. An important question is to find the best system of CSP and HTF/TES. Currently the trough mode with oil HTF and salt TES is the leading combination. However, there are critical limitations to all combinations which need to be addressed to lower the LCOE. Presently the development of HTF/TES materials is very much in an R&D phase, and lagging the collection hardware development. Although there are very few commercial suppliers, there are now several strong R&D programmes in place including the USA, Spain, Germany and France. There is no single best solution and the market has multiple technology paths for CSP. However, given the potential for CSP to expand, the opportunities for HTF/TES development are critical. Storage potentially makes base load solar-only power plants possible, and this can help drive CSP electricity costs to a level where they can begin to challenge the fossil fuel based sources. R. Sioshansi, P. Denholm, “The Value of Concentrating Solar Power and Thermal Energy Storage”, Technical Report NREL-TP-6A2-45833 February 2010. A. Skumanich, et. al., “PV Technology roadmap: market and learning curve considerations”, IEEE 35th PVSC Conference proceedings June 2010. Dr. Andy Skumanich is the CEO and Founder of SolarVision Consulting. He has previously worked for Innovalight and Applied Materials Solar Division. SVC has grown to a team of five professionals with a blend of expertise in solar materials, solar manufacturing, and market analysis. Client projects are varied and have included due-diligence on a PV cell line expansion, go-to-market strategies for a PV equipment supplier, and a micro-grid feasibility assessment, along with installation guidance for solar power plants in India and other developing countries. Dr. Skumanich has been asked to present at numerous international solar conferences on a wide range of technical and market topics of relevance. Excellent feature on CSP. Congratulations Dr. Andy Skumanich.